Four leading wireless experts thoroughly prepare you for the vendor-neutral CWAP exam administered by CWNP, the industry leader for enterprise Wi-Fi training and certification. 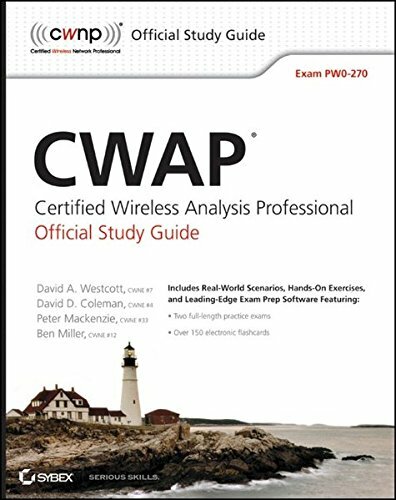 This official study guide not only covers all exam objectives for the CWAP exam, it also prepares you to administer and troubleshoot complex enterprise WLAN environments. Advancing your skills as a wireless administrator professional? Start by passing the CWAP exam with the complete test prep you’ll find in this practical study guide and CD.